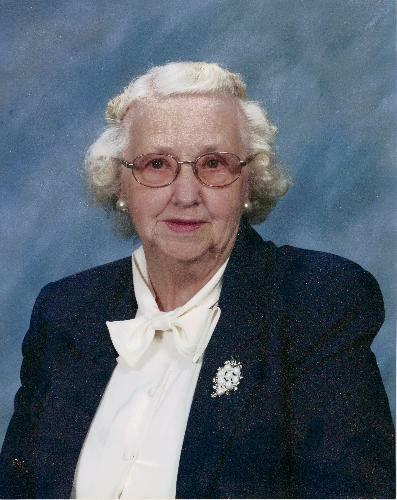 Hannah Noordhoek age 92 of McBain passed away peacefully with her family by her side on Oct. 24, 2013, at Belle Oakes Living Center .Hannah was born on November 29, 1920 in Richland Township, Missaukee County, to Roy & Gertie (Kapen) Veltema . She married her beloved husband, Homer Noordhoek at Zeeland on July 15, 1946 and he preceded her in death on July 13, 1981. Hannah had worked for B.F. Goodrich in Cadillac and had been bookkeeper at the Marion Lumber Company for many years. She had also been a cook at the McBain High School. She was a member of the Lucas Christian Reformed Church where she was a member of the Ladies Aid Committee. She enjoyed spending time with her family, cooking, gardening , & playing piano. A special thank you to the staff at Belle Oakes Living Center for their kindness and excellent care while Hannah lived there for the past eight and a half years. She is survived by a son, Gale (Linda) Noordhoek of Marion and a daughter in law, Sharon Noordhoek, wife of Elroy Noordhoed who passed away in 2007. Grandchildren, Dave (Rosie) Noordhoek of Pa., Julie ( Bob) Ebels of Falmouth, Mark Noordhoek of Florida, Daniel Noordhoek and Andrew Noordhoek of Marion.